Home > Blog > Why France is the best place to go wild in a campervan! 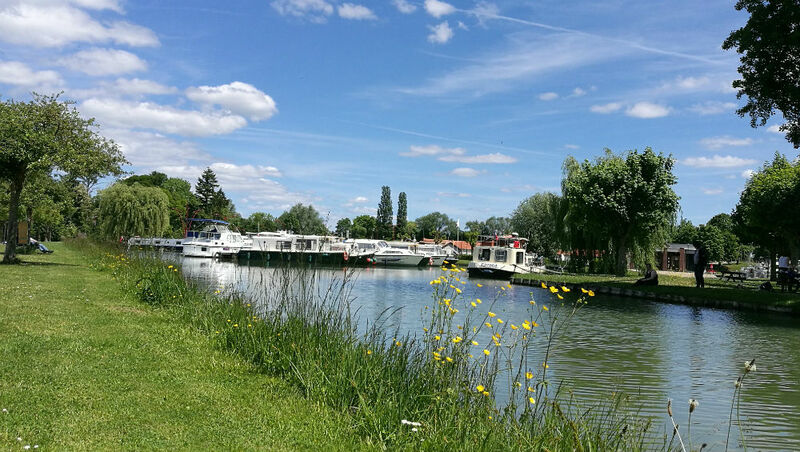 We often blog about the thousands of formal places to stay in campervans, such as campsites and “Aire de Service” in France. But what about the places you are not supposed to stay or go “wild camping”? It never ceases to amaze us that despite France being such a popular destination for motorhome travellers, the good and tolerant people of France are not, generally, territorial when it comes to parking. Coming from the UK, as I do, this is a pleasant surprise and very refreshing! 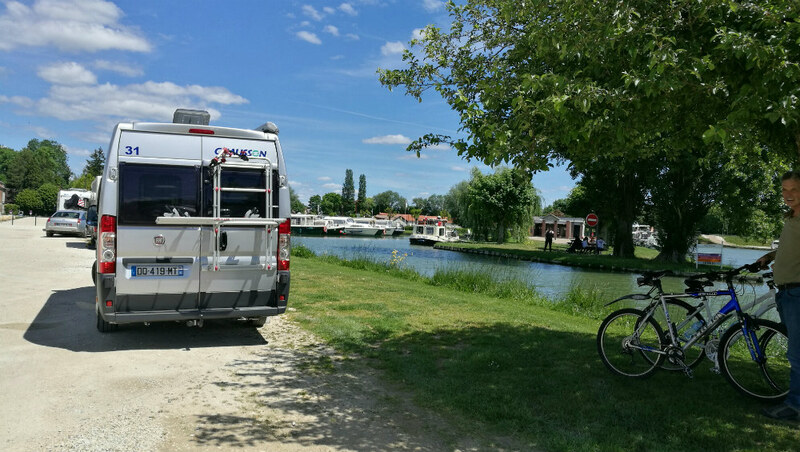 We spent last weekend in the town of Saint Florentin on the Burgundy Canal, about a 40-minute drive from our depot. On our first night, we parked right in the town square so we could meet friends and dine in a town centre restaurant. The following night, we headed to the canal port car park at the edge of the town, with a lovely view of the Burgundy Canal. We parked right next to it, with canal scenes on one side and the splendid church above us on the other. This is typical of our “wild” experiences in France in our campervan. We get the odd strange look when we get out our outdoor furniture in town squares, but there never seems to be a designated official or local busy-body to stand in our way. Nobody seems to mind where you park and we have never been moved on, spending nights in town centres, overlooking rivers, outside restaurants and even in church car parks! Needless to say, you need to use common sense when “wild camping”: avoid trying to park where space is at a premium, on private land or underneath a sign saying, “Camping Car Interdit” (motorhomes forbidden)! 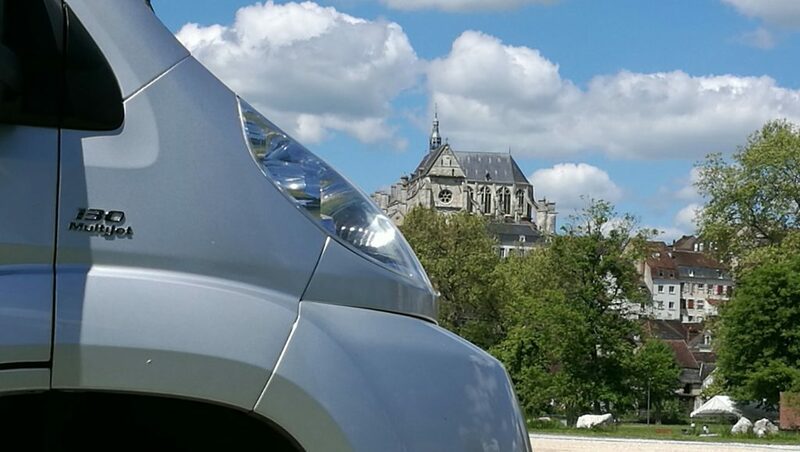 There are some areas of France, generally those swamped by tourists or big cities (Nice and the Mont St Michel are good examples), where you will be moved on if you don’t head for an “Aire de Service” or campsite. However, in rural France it really doesn’t seem to be a problem, and if you head a few kilometres from most tourist hot-spots you can usually find a safe and pleasant place to park up overnight. The great thing about going “wild” in a modern campervan, with onboard water/waste tanks, a shower and WC, is that you have all the over-nighting facilities you need with you. With a little bit of planning, you can genuinely avoid campsites for your entire trip – if you want to. So all that freedom is another big reason why France is the best country in the world to enjoy an RV trip. What are you waiting for? Book your trip now and come and explore!